There are many ways in which water can damage and even ruin your home. Water getting into your house is a big deal, and if you have a place in your roof or in the structure of your home which is consistently letting in water, addressing it right away is the surest chance of saving money and avoiding angst. Your roof is your home’s first defense against water. Having a well-constructed roof is the most important thing, and one of the components of a sound roof is properly placed roof flashing. In fact, if your flashing isn’t well-done or if it deteriorates too quickly because cheap materials are used, it won’t matter what other materials are on your roof, what it looks like or how much it cost you because you’ll have a big problem with water inside in no time at all. In addition, water means structural damage, rot and mold. The flashing has to be installed properly to defeat all three of these. It can be lapped shingle-style, it can be soldered, it can be sealed so that it functions as a continuous surface or it can be configured non-continuously to defeat water surface tension. Without roof flashing, water would run down the chimney where the roofing tiles and chimney meet, in the valleys where two pitched roofs meet, and any other jointure where the roofing material meets something coming up through it. In other words, flashing keeps all the joints in your roof watertight. The joints can’t be kept tight with a cement fillet – even with a bonding agent. 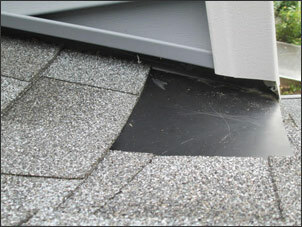 You need flashing to direct the flow of water around openings and push it down toward your gutters. Normally flashing is placed first if a new roof is being constructed. 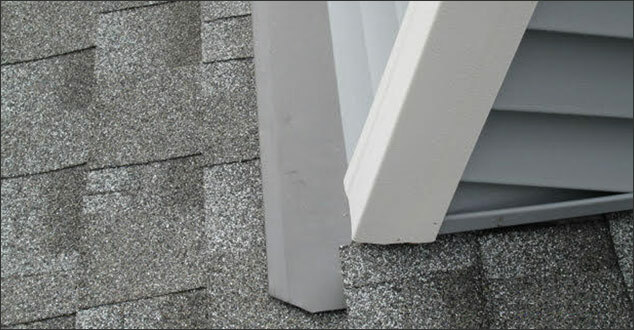 If flashing is being replaced, two or three lines of shingles will have to be removed on either side first. In the case of chimney stack flashings, two pieces are used per side: the lower piece under the shingles – a couple inches up the chimney wall – and the top piece fitting into a groove chased from the mortar between bricks – about 6 inches high – and re-sealed with mortar. The top piece gets pushed down to cover the bottom flashing, ending 1 inch above roof tiles. What is Flashing Made Of? Roof flashing can be made of sheet metal, plastic or composite materials. Check with your contractor to see what materials they are using. Metal will be the most durable and most expensive. Aluminum, copper, lead (covered in waterproof paint), zinc, galvalume, galvanized or stainless steel can be used as flashing. 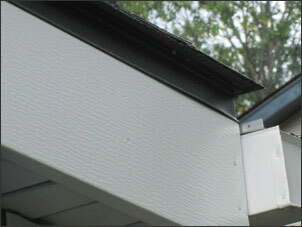 Additionally, PVC plastic flashing, which is less expensive, can wear down in direct sunlight so you need to be careful. There are several methods of installing flashing and many types of materials used. This crucial piece of roofing may be worth your time looking into and having a conversation with your contractor about. It takes skill and experience to install flashing well, so definitely hire a professional and make sure it gets done the right way the first time. Contact us today. We’re here whenever you need us.